The Young Performers Evening is a Primary event where students are given the opportunity to display their musical talents to the DC community. 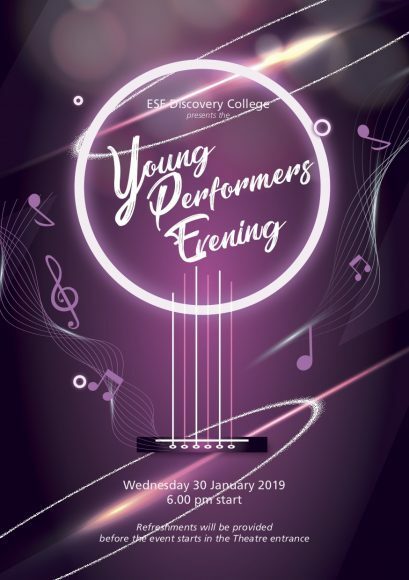 This will be held on Wednesday 30 January 2019 in the DC Theatre, doors open at 6pm. This is a ticket free event. The PTA will be providing refreshments prior to the event.